There are a few elements of our appearance as human beings that make a big difference in how we look. Some can even have an effect on how we feel. Body weight is one. Hair is another, especially for men as they age. But few things have quite the same impact as a perfect set of pearly white teeth. Your smile is one of the first things people notice. It makes sense, then, to search for an upgrade if you have dental issues. Most often, people look to porcelain veneers to improve their smile. Bay View Dental Care, a group of Milwaukee dentists, has shared some details to help you learn more before you make the decision to get porcelain veneers. If you have been looking into getting a new set of teeth for yourself, you may already know a bit about veneers. If not, there are a few key points that you ought to be aware of as you begin. These wafer shells actually get “bonded to the front of the teeth.” The site points out that this can alter many aspects of a person’s teeth. Color, shape, size, or length can all be modified with the use of veneers. As you might expect, these characteristics are some of the primary reasons people get them. Some people have difficulty getting their teeth to be white. This discoloration (often stains or yellowing) is a very big motivation for veneers. Other possible reasons for pursuing veneers vary from individual to individual. WebMD also says that people’s teeth can sometimes wear down or break. They might even fall out of alignment or have wide gaps between them. Any one of these experiences might be justification enough to opt for veneers. The fact is that many people find that they have not one, but several of these undesirable traits. The motivation for getting veneers for them is pretty straightforward. Choosing whether to have veneers is a big decision for anybody to make. The cost, of course, is one big consideration(~$1k to 2k/tooth). The procedure of getting them is another. For the moment, let’s take a look at the latter to what that process is all about. The actual procedure itself is quite involved. 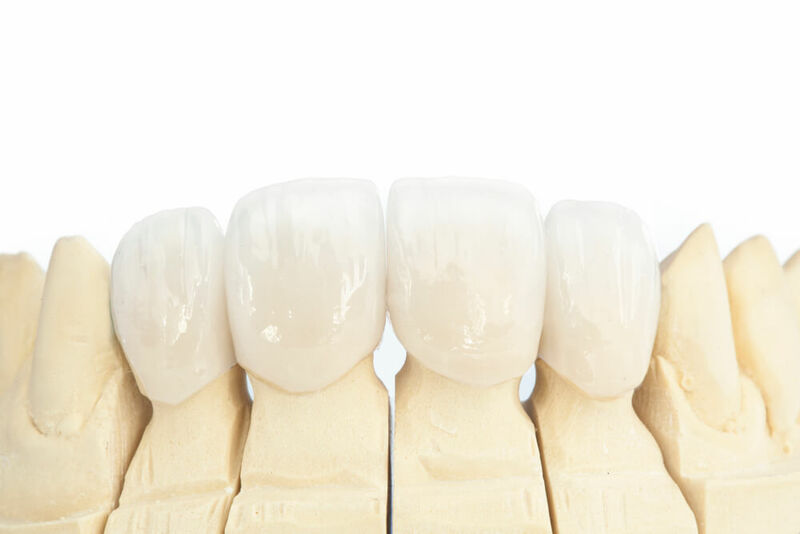 Right now, I will walk you through the primary stages to this dental process. According to WebMD, there are three main steps. First, of course, is getting a dentist to look at your teeth. You will need to explain what’s happening and what your dental goals are. The dentist will then give you a diagnosis and help you understand what your options might be. The next step is a kind of preparatory phase. It might sound a little scary, but to get veneers, you will have to shave off a bit of your teeth first. The dentist will cut off around a half a millimeter. A very tiny fraction of each tooth must get removed to make room. Your doctor will then model your teeth and order the veneers. Once they come in, the last step occurs: bonding. This happens using a medical cement between each tooth and the veneers. Of course, you will likely want to return in a few weeks for a checkup. So, now you know what veneers are and how they get installed in your mouth. That said, before you go through with any of this, it is quite probable that you want to know if it’s all safe. According to Dr. Kasperowski, a family dentist, they are “a very safe dental treatment”. Of course, like any medical procedure, there are risks and preventative measures available. Dr. Kasperowski says that people “should be cautious when choosing their cosmetic dentist”. He recommends that you read what patients have written about them. Ensure they don’t have a track record of bad results. Veneers are a great and safe substitute for regular teeth whitening. Dr. Kasperowski also points out, though, that they are a permanent solution. Add to this that some people can end up being very sensitive to their veneers. In this case, those individuals can “opt for no-prep veneers”, an alternative choice. He writes that they need “little enamel removal, if any, [so] the risk of sensitivity is lower.” Keep in mind, he says, that many dentists consider them less natural than typical veneers. There are always pros and cons, and veneers are no different. So, the short answer is yes, veneers are actually very safe. You should have nothing to worry about if this is something you are considering.